Emma is from New York, NY and attended Georgetown University as a member of the class of 2012. She majored in International Relations with minors in History and Classical Studies. 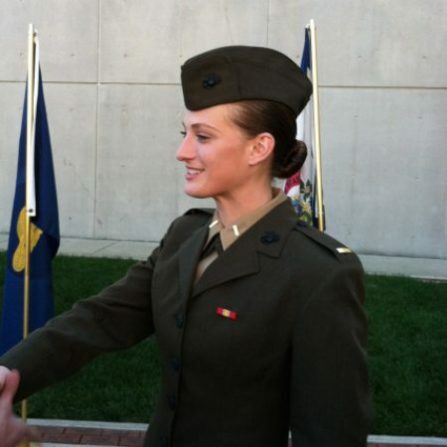 After college, she joined the Marine Corps as an intelligence officer. Emma spent the majority of her time in the Corps with the Third Marine Division in Okinawa, Japan focusing on East Asian security issues and traveling the region. Additionally, she deployed in 2016 to the Combined Air and Space Operations Center in Qatar to assist in collections operations planning in support of Operation Inherent Resolve. Emma is now pursuing the next steps in her eduction back at Georgetown, this time at the university&#039;s School of Foreign Service where she will earn her MA in Security Studies.